Sydney Data Recovery provides a fast, efficient and very affordable data recovery service. With a transparent pricing policy, no hidden extras and highly experienced technicians, Sydney Data Recovery can be trusted to provide the best data recovery for your device. Our labs contain some of the most sophisticated equipment in Australia and we have a very high success rate. Understanding a little about your computer now could potentially save you considerable stress and anguish in the future. The sooner you are aware of a problem, the more likely we are able to achieve a positive data recovery. The platters in your hard disk drive spin at thousands of RPM. Small components like dust particles and harsh movements can create irretrievable damage by damaging these precision manufactured platters. Try avoiding dropping or bumping your computer unnecessarily. If your laptop hard drive starts to fail, then shut the machine down. Call us on 1800 473 268 as soon as you can. We are here to help you and can offer the best options to recover your data. 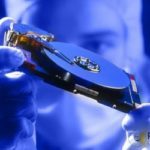 The first thing you need to know is that every data recovery project we take on follows a proven process. This process goes into everything we do and is backed by 15+ years of experience in a secure lab environment. With the many years experience of data recovery we have an exceptional record of success. From the links above, choose the device which you need the data recovered from. Our form is designed to acquire enough information to start the process. If we require additional details we will contact you immediately. Payment is handled through a secure server. We will confirm your payment and send you details via email, of the next stage of the process. Once we have received your media device, we test for recovery and we will contact you with information on whether the drive requires repair or can be successfully recovered. If the drive can be recovered successfully you pay the remaining cost of recovery. When our technicians have successfully finished the process of recovery, we load the data on to a suitable new device and send this back to you. Our recovery attempt fee covers the cost of testing your media device in our laboratory.